Happy Friday! 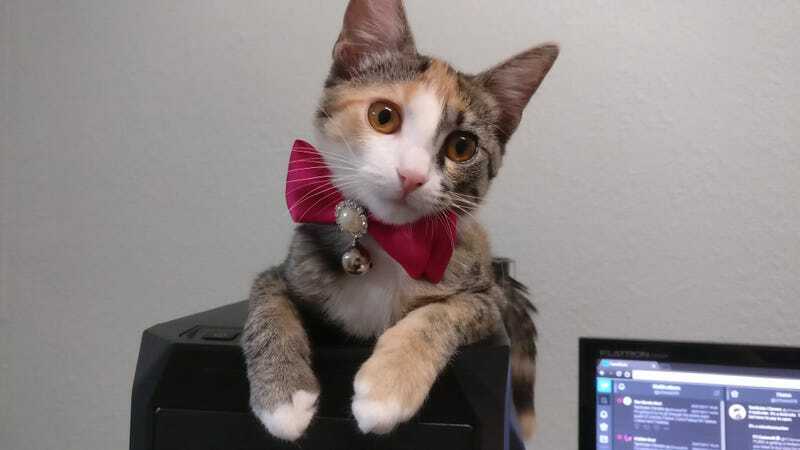 Here’s Nina sitting on my computer with a bow. Last weekend before Closing on my new place and moving in Tuesday. I am so freaking ready I don’t even care that I’m dog sitting for both my parents and Aunt and Uncle while they’re at the lake. Going to be a manic Monday to get everything packed up on the trailer and ready to go, but the weekend looks peaceful at least.